4. Stir in the walnuts if you're using them. Using a wooden spoon, mix in the flour until well combined. The mixture becomes extremely thick and you may need to use your hands to mix. Don't mix the dough with an electric mixer at this point. 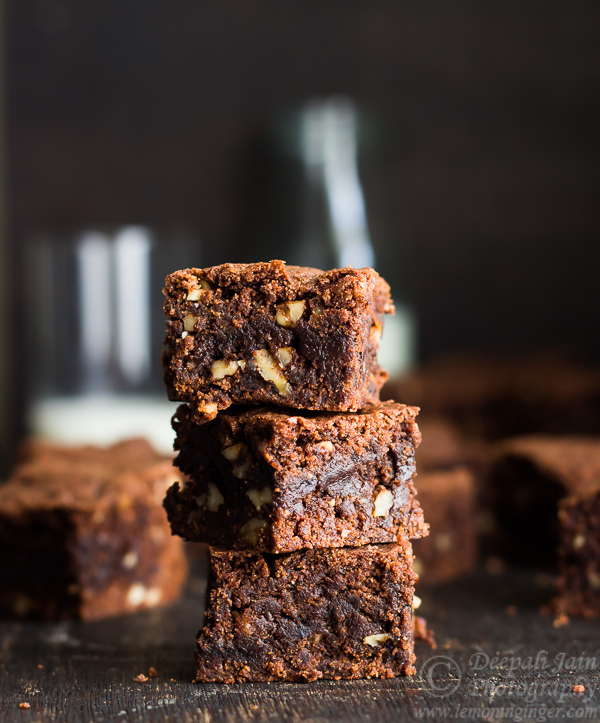 It will overwork the dough and gluten will form, in turn affecting the texture of the brownies.